The Soros-Obama-Clinton camp, acting on behalf of the globalists, will stop at nothing until President Trump is removed from office. Every day that Trump exposes and subverts their New World Order agenda only emboldens the purple revolutionaries. This situation is fast approaching a critical flashpoint. KEY POINT: What the whole world is now witnessing is nothing short of a modern-day version of the “War of the Titans”. Never in modern history has such an epochal conflict been fought with such ferocity and fury while breaking all the norms. Not only is this extraordinary development completely without precedent, it reflects the sheer desperation of the globalist cabal implementing the coup. The 2016 campaign season was like no other in U.S. presidential election history. Likewise, full-scale political war broke out in the open for all to see during all of 2017; this was also a first. 2018 will also see an all-out clash of opposing forces never seen or experienced before in the USA. the countless traitors avoid prosecution and capital punishment? The world community of nations has front row seats for the last and greatest fight of this era. For the final battle between the forces of light and the forces of darkness is now raging on TV screens and computer monitors and smartphones around the globe. Here’s what the current battlefield looks like by way of a pictorial analogy. It can actually be likened to a conflict at sea. 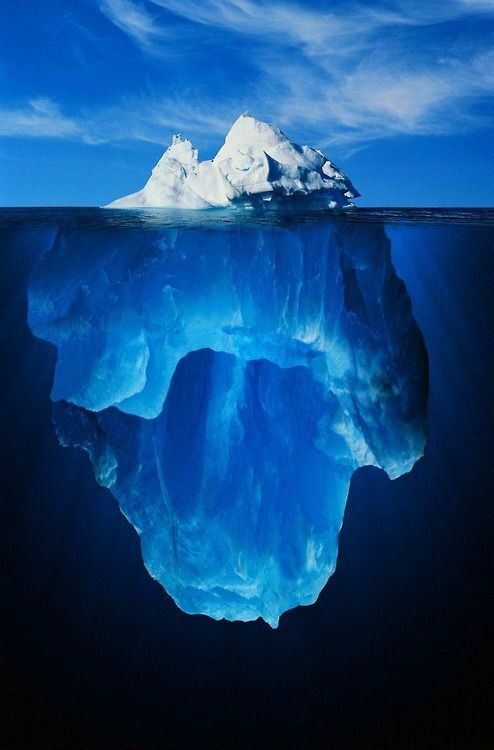 Deep State is represented by everything below the water line in the photo below. Captain Donald J. Trump, at the helm of the American ship of state — along with his nationalist crew members from the Patriot Movement, are steering their mighty vessel directly toward Deep State. The USS Trump is now right on track for a collision of truly epic proportions. Given this rapidly unfolding scenario, there’s simply no stopping this highly consequential collision. It’s only a matter of when they crash. 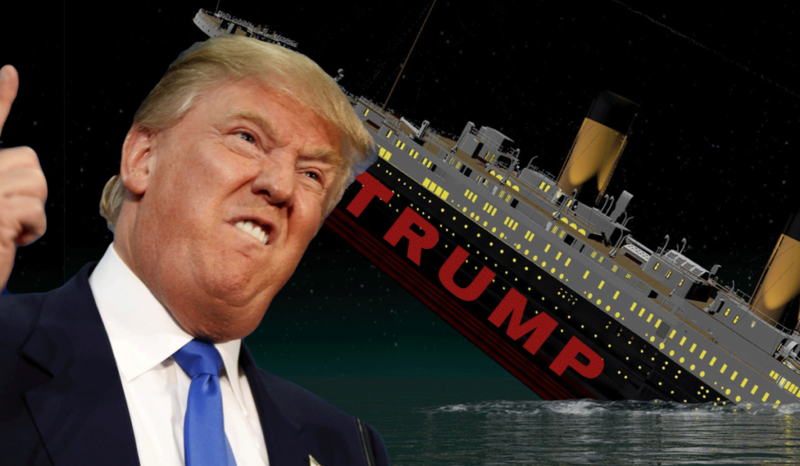 Or, is the Patriot Movement riding on the Trump Titanic? 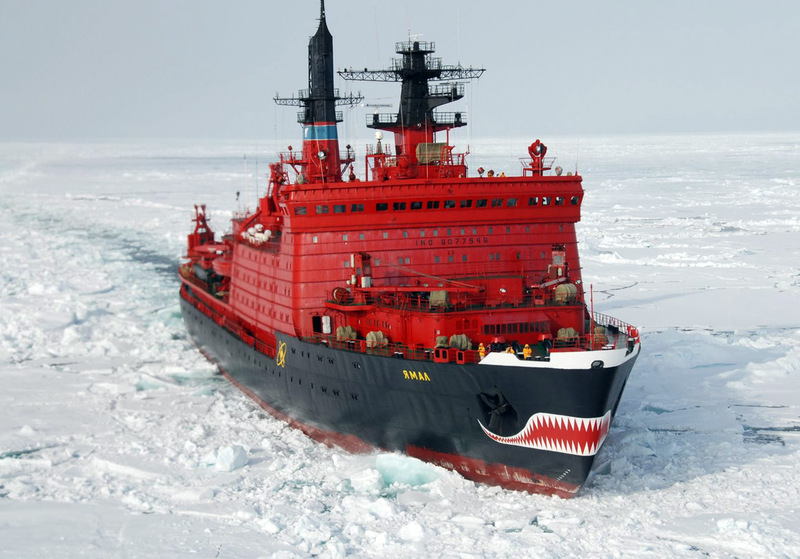 Best Answer: The POTUS does not plan on going down with the ship because icebreakers made in Russia don’t sink. #1 — For the uninitiated, were it not for Putin’s Russia holding their ground against the New World Order cabal, a totalitarian One World Government would have already been established. A global tyranny would be ruling the planet similar to George Orwell’s 1984. As a matter of historical fact, it was only Putin’s thrashing of the Rothschild-controlled Russian oligarchs that prevented such a tragic outcome. #2 — Russia has twice come to the urgent aid of the United States during its history—once during the American Revolutionary War and once during the American Civil War. With the stunning election of Donald Trump, President Putin knows that Russia will, for a third time, have to come to the aid of the United States. The Kremlin is well aware that the Second American Revolution began with the 2016 election cycle and Trump’s ascendancy. #3 — Russia truly faces existential threats from the Neocon warmongers, so Putin must prevent those malevolent forces from completely taking over the U.S. Federal Government. Putin is particularly concerned about the Russophobes taking total control of the U.S. military machine. The Kremlin knows that were those NWO globalists to regain total control of the White House, war with Russia would be inevitable. The hot phase of a stealthily manufactured World War III would then be used by the autocratic globalists to create a monolithic and oppressive international order out of the ensuing chaos. #4 — The NWO globalists know that the Russian Federation holds the key to world peace. As the largest landmass in the world — by far — Russia is the only land bridge between the East and the West. The Russian psyche and temperament have been molded over the centuries by Eastern and Western civilization alike, because of the Motherland’s proximity to the Far East and to Europe, respectively. Strong influences have been exerted on Russia by both the Orient and the Occident which make it the best suited to forge an enduring international peace accord. #5 — President Donald Trump was specially chosen to help negotiate this long-anticipated peace with President Vladimir Putin. These two leaders were divinely selected at this pivotal juncture in world history for this very reason. This is why there is such an irrational push to war by the globalists. They don’t want peace; as only world war sufficiently serves their NWO agenda toward an imperial One World Government. No other U.S. presidential candidate ever made so many overtures during the campaign season to work closely with Russia as did Donald Trump. There is no question that he meant every one of his promises to collaborate with Putin for the good of both nations. This single GREAT intention has brought Trump and his administration untold hardships. It’s also why there is so much “fake news” about Russia and Putin spewed by the worldwide Mainstream Media. See: What’s really behind all the fabricated anti-Russia hysteria? 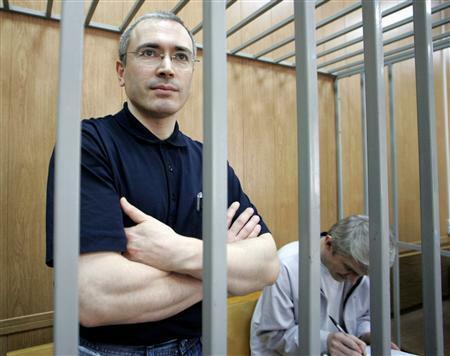 Russian authorities began the process of removing oligarch Mikhail Khordorkovsky from Yukos Oil in 2003, three and a half years after Putin was first elected president. So, were President Trump to order the immediate arrest of self-proclaimed insurrectionist and traitor George Soros, everything would change in a D.C. moment. By apprehending Soros and putting him in prison like Putin did to Khodorkovsky (for 10 long years), which American oligarch or plutocrat would attempt to fill his shoes? Which sultan of Silicon Valley or Democratic revolutionista would pick up the torch? That’s right…crickets! Toward that end, Donald Trump is the indispensable change agent. Change agents mostly clean house. Or, they knock down the dilapidated house. In either case, their primary job is to clear out the old and ineffective for the next generation of leadership. Hence, the American people are soon to observe Trump’s wrecking ball in action like never before. After all, as long as there is a Deep State to contend with, the USA will never enjoy true national sovereignty or territorial integrity. SPECIAL ANNOUNCEMENT: This is it, folks! The final outcome of “Team Trump vs. Deep State” will certainly determine the fate of the American Republic. It will also foreshadow the future of humanity. Everything now points to a riveting climax that is about to unfold in 2018. The year of reckoning is surely upon US. The bottom line is that: Trump has only ONE response to the ongoing soft coup being run by rogue elements within the U.S. Intelligence Community—A Military Response! Once President Trump pushes that button, everything changes in 2018. Why 2018? Why might the “year of reckoning” be this year? Has anyone, at any time, anywhere in the US of A ever seen such a free-fall collapse of normality in every sphere of life? Watching the MSM talking heads regularly go apoplectic, while taking obvious dictation from their CIA handlers through their earpieces, is certainly a sign that we are very close to hitting the proverbial wall, yes? After 8 long years of myriad mercenaries of cultural marxism irreparably tearing the social fabric, the Obamanation will soon experience a Trumpian controlled demolition. Every “Sodom and Gomorrah” sanctuary city is set to be taken back from those ultra-liberal Bolsheviks who have surreptitiously captured them. Will those mind-controlled cultural marxists — hapless products of decades of intense and unrelenting social engineering — really permit such a reversal of fortune? No, they won’t…which is exactly why the whole place is coming apart at the seams in 2018. For any investigative journalist or research historian who wants to know the real deal about Putin’s Russia, SOTN offers the following 13-part series of extended essays.